Fully optimised for today's diverse workloads, the Supermicro BigTwin range is the first and only 2U multi-node system that supports the highest performance processor, memory, storage, I/O and an incredible 30% better thermal capacity. Broadberry are premier providers of the Supermicro BigTwin, the most technologically modern server solution available.The Supermicro BigTwin server is the most efficient, high-performing 2U 4-node platform on the market. 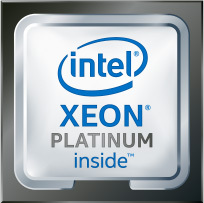 It is the first (and remains the only) ever multi node system that supports 205-Watt Xeon CPUs. In addition to this, it is also the one and only multi node system to support full 24 DIMMs of memory per node, as well as 24 all-flash NVMe drives. It also allows for much improved performance/speed of response for workloads relating to databases and cloud infrastructure. The Supermicro BigTwin uses the very latest in server technology, incorporating Intel's latest processors. Using UPI (Ultra-Path Interconnect) technology, the communication between CPU's improves considerably, latency is reduced, and extra bandwidth is created. This is a direct result of the point to point processor interconnect. It also supports up to 3TB DDR4-2666MHz in 24 DIMM slots, providing large gains in memory capacity, as well as a boost in speed. Not only is the Supermicro BigTwin the best server on the market for taking advantage of the latest modern technological advancements, but it's also future-proof, having been specially built to be optimised for future technology including the next gen of Intel Skylake Processors. Things move fast in the world of technology, what was new and exciting yesterday can quickly become old news today. 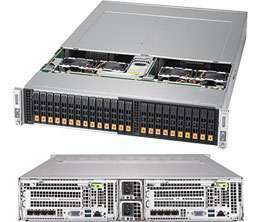 Unlike the majority of other systems out there Supermicro's Big Twin technology is built to last. 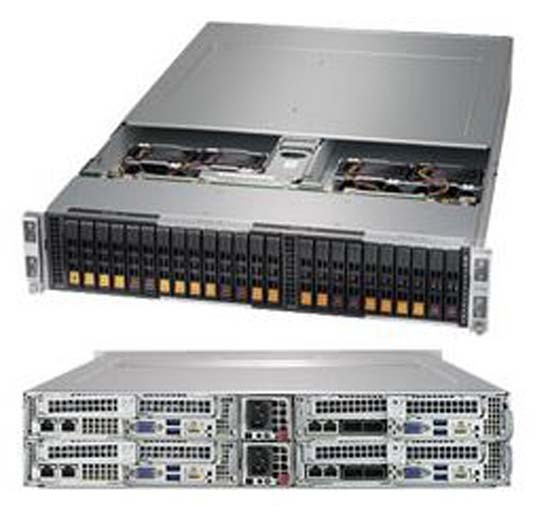 The Supermicro BigTwin has been specifically designed and created to be efficient as possible both in saving power, cost, and space. In a 1U form factor, the processing density is more than twice as high as a usual typical 1U. The level of density is extremely high, and in the 2U form factor there are up to 4 hot-swappable nodes. Data centre footprint is drastically reduced when compared to other standard 2U servers. Its I/O capacity is more than double than what you will find with other 2U systems available on the market. The Supermicro Big Twin server system comes with uncompromising quality control, each server being thoroughly tested before sale. Broadberry not only hold ourselves to the absolute highest standard, but also our products. We provide the most comprehensive line of rackmount / tower servers you will find on the market, including redundant components as a safety net that will make sure you will be virtually invincible against the threat of system downtime. Our Supermicro systems provide the best price to performance ratio in the industry, and we are consistently first to market with the latest models. The Supermicro BigTwin provides a maximised performance, while also having a reduced TCO (total cost of ownership) due to its efficiency in green computing. Supermicro have a strong reputation in being innovators in the industry. 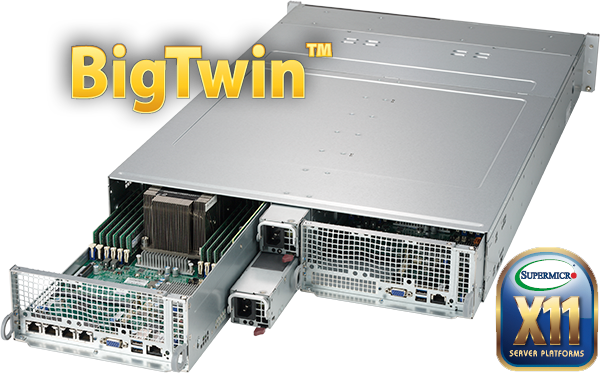 Often their products lead the way, and with their BigTwin server systems they have not only created the most modern product out there, but have managed to make sure their product will also retain relevancy in the future. They are a leader in green computing, having created some of the most environmentally friendly server technology available today. When it comes to server technology innovation, there aren't many companies that have a stronger track record than Supermicro. 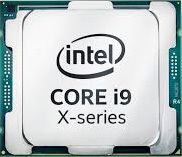 The company, that are known for their efficient green computing, have gained the reputation of being true innovators in high-end PC/server industry. The number one place to get high quality Supermicro servers is from Broadberry due to our high levels of quality control, design, testing and configuration. Having proven our high standards over decades of high quality work, the best place to find the Supermicro Big Twin is right here. Here at Broadberry we optimise our servers so that the customer will be able to get the absolute most out of their system. Depending on your needs and your future plans, there will be different options for you to choose for optimisation. Some of these options include optimising for storage, data centre, HPC and cloud computing. 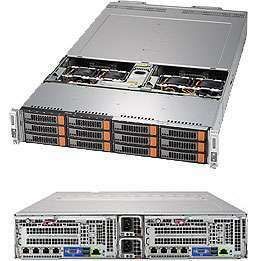 Broadberry are the premier providers of the Supermicro Big Twin server system. 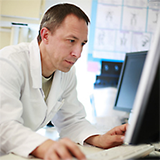 Providing both barebones and ready-to-configure solutions, the brand has developed a stellar reputation in the industry after decades of providing some of the highest quality data systems on the market. 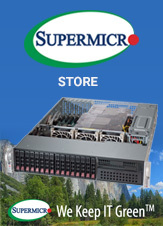 With a clientele base made up of some of the biggest companies on the planet, there is no better place to find the Supermicro Big Twin server.